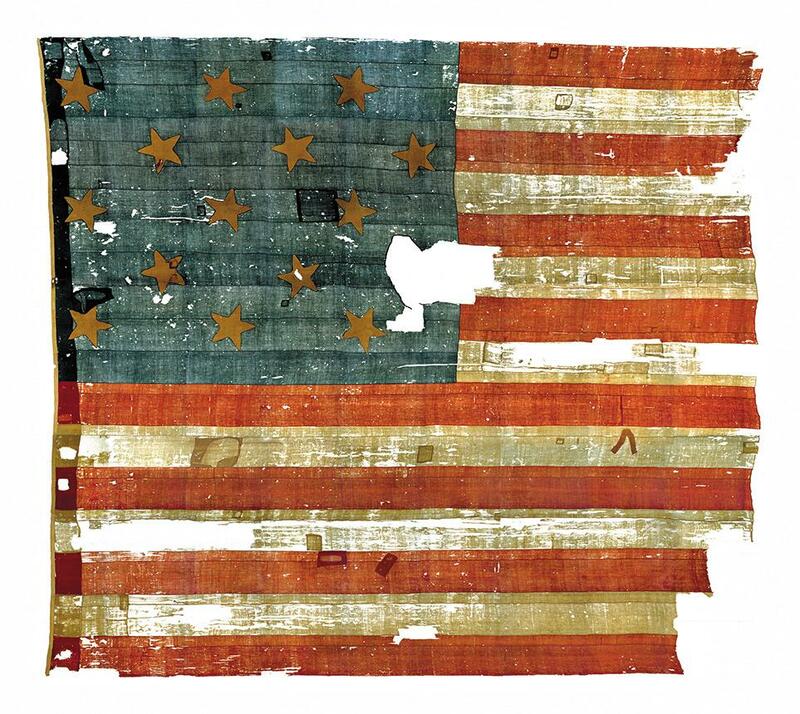 The Star-Spangled Banner flag, which was cut up and given away. A member of the Iraqi forces inspects the damage inside the destroyed museum of Mosul on April 2, 2017 after they recaptured it from Islamic State (IS) group fighters. Islamic State militants completely ransacked Mosul’s central museum and destroyed priceless artifacts, some which dated back thousands of years. Some of the statues and artifacts dated back to the Assyrian and Akkadian empires. The terrorist group published a video of the destruction. In the video, an Isis representative condemns Assyrians and Akkadians as polytheists. The militants smashed the statues in the museum with hammers and pushed the remains to the ground so they shattered even more. ISIS has not just destroyed the museum, however, they have caused irreparable damage across Syria and Iraq since 2010.